Color is definitely the king when it comes to gemstones. Most people actually prioritize a gemstone’s color much more than its actual variety if the stone is affordable and has both durability and shine. 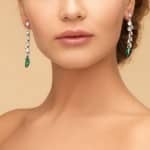 The emerald stone, for instance, has become increasingly popular as an alternative to the ubiquitous diamond, whether set in an engagement or wedding ring. 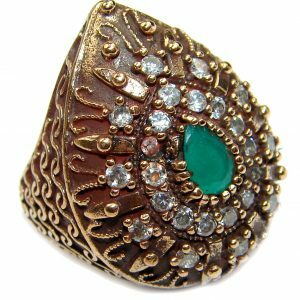 Emeralds, in fact, are only one of several types of green gemstones that have a wide range of significant investment potential. Quality is, of course, a primary consideration, albeit finding them may prove to be difficult since jewelers list their availability by the gem type rather than its color. Not surprisingly, though, is the fact that it is an emerald that comes to mind first when people are asked to name a green gemstone. 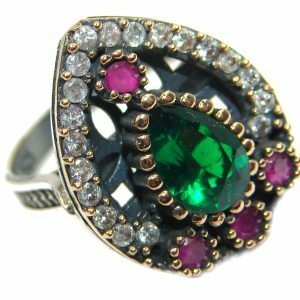 Expert gemologists, however, differ on the degree of green which makes emeralds and other less expensive stones what they are. “Too light” means the gemstone is not an emerald but the cheaper green beryl and, even then, the term “too light” can have different opinions from one gemologist to another. 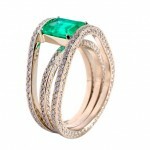 Emerald stones are obviously the crème de la crème of the green gemstone family. 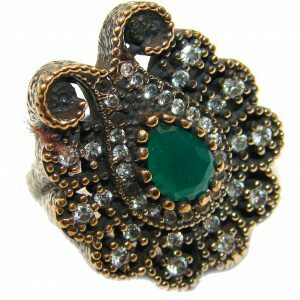 Emerald’s different hues of green are just as numerous as the various gemstones’ meanings. 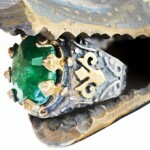 Notice how the color “emerald green” is synonymous with the stone itself. If it has too much blue in it, the emerald is an aquamarine. 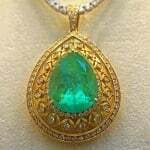 Emerald is known by a variety of gemstone names. With too much pink, the emerald is known as a Morganite. 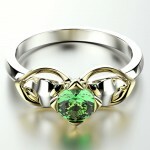 Heliodor means the emerald is yellow green in color. Golden beryl is yellow emerald. Emeralds of the right shade of green can be more valuable than diamonds and their most desirable colors include those from bluish green to solid green. Green represents balance, nature, and life. Given that, emerald, being green, has come to take on these representations, too. 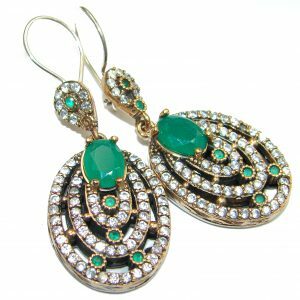 Emerald is one of the most popular of precious gemstones because of its green color that is said to signify growth, hope, and change. Softer than diamonds, sapphires, and rubies but harder than quartzes, these gemstones are mined the world over in places like Zimbabwe, Zambia, Madagascar, Afghanistan, Pakistan, Russia, India, and Brazil. The highest natural emerald, though, comes from Colombia and has three phases of inclusions that contain small crystals made of a bubble of gas, liquid, and rock salt. 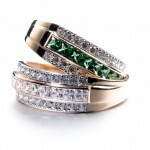 Each gemstone has its own history and meaning and emerald is no exception. The emerald stone meaning is literally “green gem” in Old French and derived from the “Esmaraldus” or “Esmaralda” variant of the Latin “Smaragdus.” Emeralds were first mined in 3500 B.C. in Egypt for the pharaohs and their families. 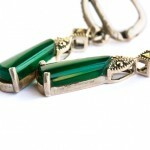 Considered the spring season’s gem, the emerald is the birthstone of those born in May. 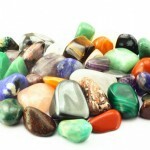 Gemstones represent certain ideal traits as well. Chrysoprase, moonstone, ruby, rose quartz, watermelon tourmaline, and the green emerald symbolize love. 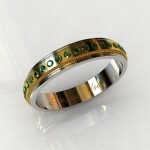 The emerald gemstone meaning for one thing may, in fact, symbolize other things in various cultures. Hexagonal columned and flat-topped, emeralds mean friendship, harmony, fidelity, healing, wisdom, prosperity, and hope for other peoples in the world. Colombia has been noted to be emerald’s largest producer worldwide. Some 50% to 90% of the world’s emeralds are mined in Chivor, Coscuez, and Muzo with production drastically increasing in the last ten years from the year 2000 to the year 2010 by at least 78%. 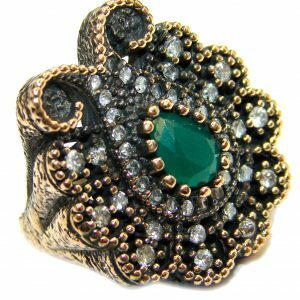 Some rare emeralds, known as “trapiche,” are distinguishable by a radial pattern with six points of spokes of carbon impurities. Zambia ranks second as the emerald gem’s largest producer. About 20% of emeralds in the world have been mined in the deposits of Zambia’s Kafubu River, some 45 kilometers southwest of the township of Kitwe, since 2004. 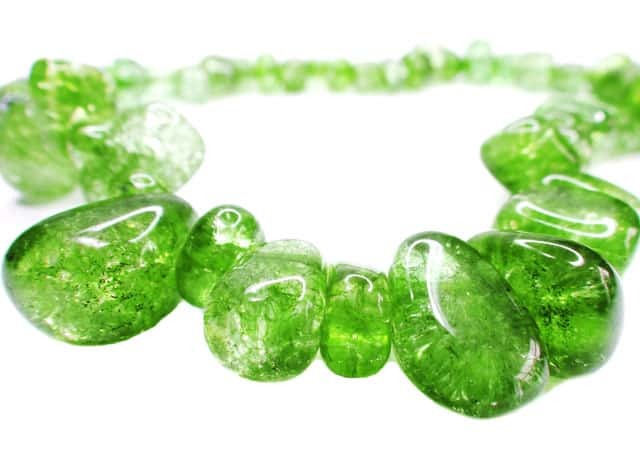 The first six months of 2011 saw Zambia’s Kagem Mines produced 3.74 tons of the green stone that is known to represent spring, the season of rebirth. Commercial = $30 to $525. Good = $525 to $1,125. Fine = $1,125 to $2,900. Extra fine = $2,900 to $9,800. Commercial = $300 to $7,500. Good = $7,500 to $15,000. Fine = $15,000 to $32,500. Extra fine = $32,000 to $95,500. To summarize, stone jewelry does not necessarily have to mean diamonds exclusively because there is a plethora of gems out there that may be even more valuable than those little white rocks. You just have to know the color, value, and clarity of the gemstone to determine the impact it eventually has on how it looks on you and what returns it will yield as an investment. Color, while a major factor of an emerald’s worth, is not necessarily the determining factor for a purchase. Two emeralds, for instance, may have exactly the same vivid, dark green color but with translucent and the other transparent. The former may actually be worth by $10,000 more per cart and its transparent sibling worth several thousands of dollars less; transparency in this case lowered the other emerald’s value. Clarity indicates how grading factor in an emerald is crucial from one stone to another. There is no single factor that always determines a gemstone’s quality. The appeal the gemstone has for you and its clarity, stone cut, color, and transparency should be in synergy with your personal preferences. This overall balance lets you enjoy your choice of emerald stone while you happily collect the return on your investment.